On an overnight flight from Toronto to Tel Aviv, I was seated next to a woman who was going to visit her daughter, who’d been born in the U.S. but moved to Israel as an adult. The woman I sat next to had done that migration in reverse, she told me, but now found herself having to travel back often to see her daughter, and her granddaughter, who was seated on the other side of me and had just finished working as a counselor at a Jewish summer camp in New England. Being so familiar with the country, she naturally wanted to share her knowledge and asked where, in addition to Tel Aviv, I was going. I usually enjoy ambling conversations on airplanes. But this time I found myself wishing I was on a parallel 10-hour flight, talking about a new Netflix series, maybe, or my foolproof granola recipe — something completely impersonal and uninteresting. I was heading for the West Bank, which I knew would charge the conversation, both politically and personally, and for the next eight hours, I wanted boring, unrevealing conversation, the sort that would never end up in Rachel Cusk’s trilogy. Like Outline, the first book in this trilogy, Kudos, the stunning finale, opens with the protagonist trapped on a plane next to a talkative passenger who reveals far too much of himself, perhaps without realizing it, to a stranger. His exposition is one of the longer tales in the book, but it’s all leading somewhere, winding into unexpected corners of his psyche at every turn and landing, finally, on an act that his family will surely view as a betrayal. Who does he give this up to? Faye, whose name only appears in the final pages of the novel, even though we’ve followed eagerly as she listened keenly to person after person, some of whom she knows, most of whom she’s never met, all of whom say something about our base human nature, share fascinating theories, or explain and how their life experience caused them to embody particular values … which happen to burst forth over, say, a staid dinner at a literary festival. Writers are often taught to show, don’t tell, but Cusk breaks this and many other rules. (The entire plot, it seems, is: Faye, a moderately successful British writer, goes to a writing conference. That’s it.) The people Faye meets do nothing but tell, tell, tell, showing the depths of their suffering and striving on topics from parenting and relationships to envy, vanity, evil, success, perception, gender, power, and even Brexit. Is this pathology or refreshing honesty? A bit of both? 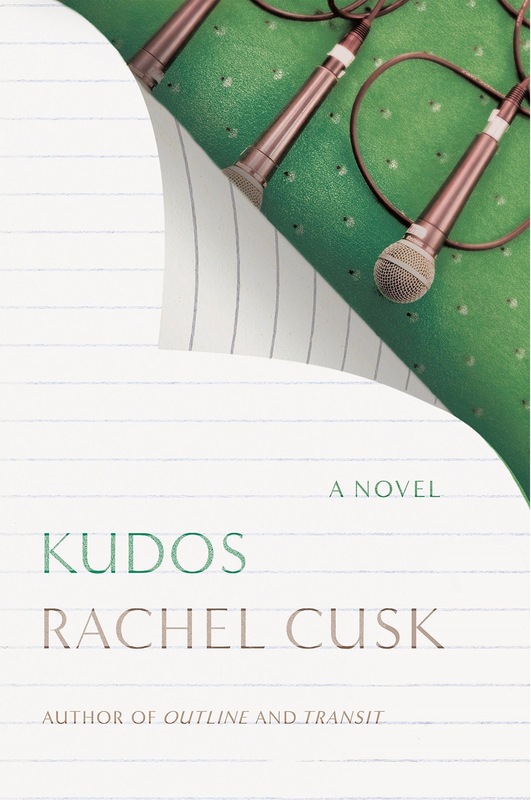 It doesn’t matter, because in Cusk’s deft hands, the coursing monologues Faye witnesses (and propels) read like someone has let you listen in on some fascinating therapy sessions that slip into solipsism only to escape into psychological breakthroughs. Faye doesn’t have an answer, but the point of Kudos, and the rest of this trilogy, are the questions themselves, and how we as individuals — not an omniscient narrator — arrive at answers. In fact, the conversation is briefly interrupted here when one of Faye’s sons calls and says he’s had his last day of school. She’s not there for it. Near the story’s end, her other son calls to tell her how he and his friends accidentally started a fire; he’s most upset not about the fire itself, which hurt no one, but that he can’t get anyone to listen to his story about it. Both sons, before hanging up, ask the same question: When are you coming home? Soon, she tells them, but we readers know that it won’t be long before she’s back on a plane or train to teach or lecture at another literary event. Even Faye herself seems to know moments of happiness are brief, illusory, and the book’s pungent final scene punctuates it. For readers, there is one obvious answer to one of life’s questions in all of this: Having a copy of Kudos in your seat-back pocket will provide that brief, shining moment of brilliance when the person next to you on the plane fails to be half as interesting as one of Cusk’s characters. For a 10-hour flight, though, take the entire trilogy.